As the executive director of the National Center for Science Education, Eugenie C. Scott has been on the front lines of the battle to keep creationism from being taught in public school science classes. Dr. Scott has spent the past 27 years of her career essentially starring in her own real-life version of Inherit the Wind over and over again as she and the NCSE have had "an outsize impact" in courtrooms and classrooms when it comes to teaching fact-based science—rather than faith-based theories—in schools. 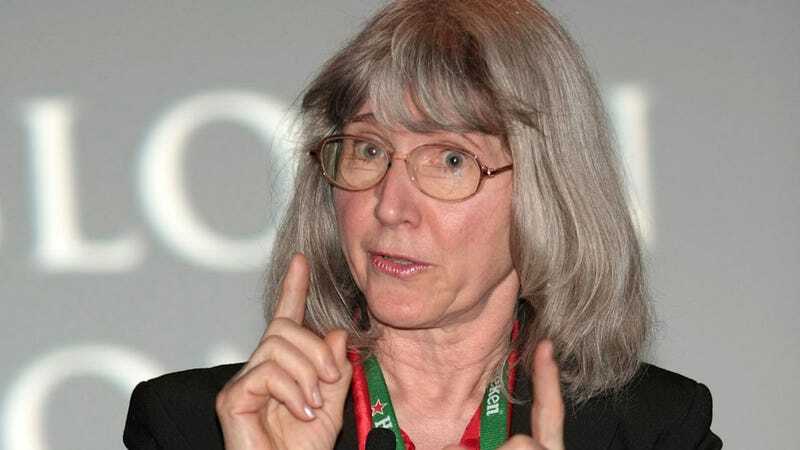 She will be stepping down from her position at the NCSE at the end of this year, prompting The New York Times to profile her dedication to "advance the cause of science." Dr. Scott realized very early on that creationism is "a movement that could have really serious consequences for science and science education." Perhaps most importantly, she recognized that what the creationist movement had in its favor was persuasive and personable spokespeople who, like good preachers, had a way of really connecting with audiences using humor and warmth. It didn't matter if they didn't have the facts on their side. She understood that the approach of those opposing creationism needed to change. "You do not solve the creation-evolution issue just by throwing science at it," she said. Dr. Scott plans to spend her impending free time writing a memoir and organizing the NCSE's archives, but not before adding the issue of climate change to its agenda.